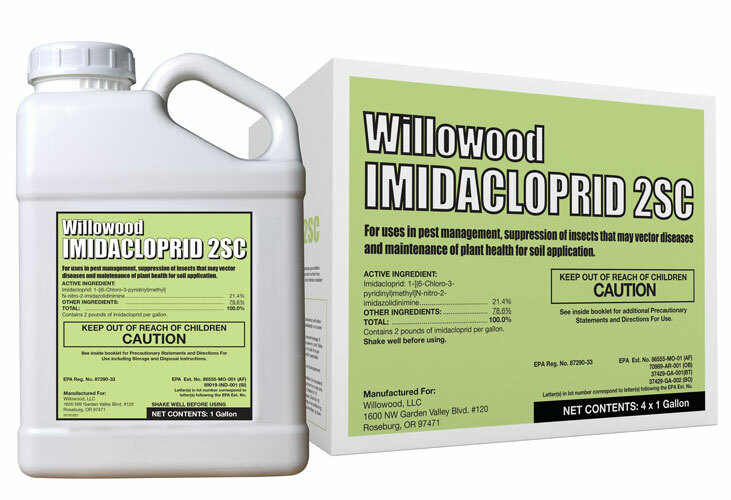 Willowood Imidacloprid 2SC is designed for protection from listed insects on cotton, potatoes, tobacco, vegetables and small fruit. For use as a soil treatment on Poplars and Cottonwoods. Controls darkling beetles and hide beetles in and around poultry houses. Contains 2 pounds of imidacloprid per gallon. ADMIRE PRO® and TRIMAX® are registered trademarks of Bayer Crop Science.